For the last year, a peaceful non-violent movement, the Pashtun Tahaffuz Movement (PTM) that started in Pakistan’s tribal areas has spread around the country. It was started by young Pashtuns fighting for human rights but has found an echo in all parts of the country. This uprising of sorts is unique in many ways. It is not sponsored by a political party, nor is it an electoral crusade. It challenges the complacency of a state that has done little to acknowledge that its tribal population is nothing more than second-class citizens, deprived of fundamental rights guaranteed in the constitution. Right from the start, the Pakistani military -intelligence establishment has viewed this movement as anti-national and treasonous. They have banned PTM rallies, arrested its leaders and even placed its Members of National Assembly on the Exit Control List. 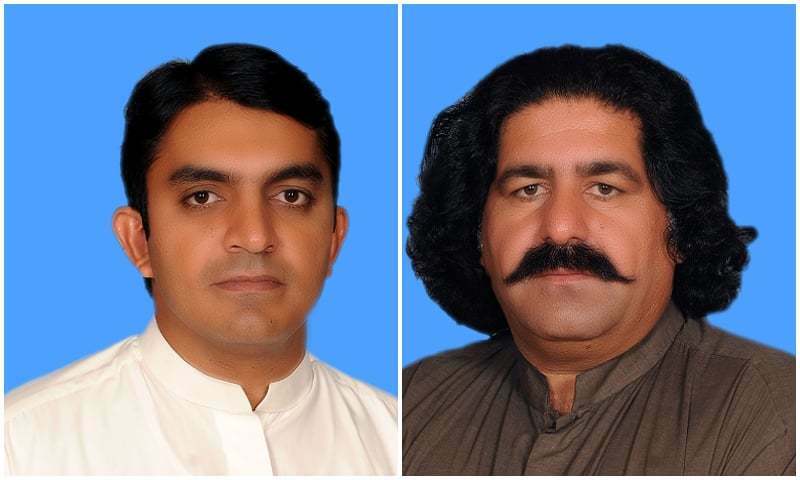 Yet they have been unable to suppress the popularity of the PTM, its leader Manzoor Pashteen and others including MNAs Ali Wazir and Mohsin Dawar. This Pashtun uprising is not the work of one individual or a group of individuals. Yes, the killing of Naqeeb became the tipping point for this emergence of political consciousness but this was accumulating through the ages and then erupted at that singular movement. The murder of PTM leader Arman Loni at the hands of security personnel during a peaceful protest in Loralai is extremely shocking. When the establishment itself is carrying out violence against a peaceful protest, then how can we expect the youth to understand the conspiracy & remain peaceful? The brutal killing of Arman Loni in Loralai is outrageous and highly condemnable. There must be a full, independent and transparent inquiry. Thoughts and prayers with the grieving family. The thing is we can’t predict the occurrence of singular events, we can only explain them. When Manzur was leaving DI Khan for the long march he only had 22 people with him. People joined the march not knowing what the concrete demands were and then it was very late in the sit-in that Manzur was catapulted into the current charisma. It is not to underwrite the role or image of Manzur but rather to point that Manzur only gave a shape, an agenda, a program and a passion to that uprising. Manzur wasn’t the cause, he was the effect. And now for most events, he is becoming the cause. It was Manzur who was present right there at the correct moment to channel the eruption of revolutionary energies into a concrete and far-reaching political program. Now, that eruption of revolutionary consciousness could have gone either way. It could have been a force of destruction and violence. But Manzur, Mohsin, Ali, Sanna Ejaz and other leaders of PTM channeled it into a constructive non-violent political movement. Rather than putting an unnecessary strain on the state all of the programs were defined under the ambit of constitution and laws. Neither any of the demand is illegal or unconstitutional nor a brick of public property has been damaged despite seeing the worse of crackdowns and violence. The state is violent machinery with a staggering potential and instruments of violence. The state and the powers that be, the army and security and intelligence agencies, aren’t known to be institutions capable of reason and foresight. The state has pushed people into the extreme ends of desperation and in their myopia, they aren’t able to see what the ultimate product of violence in relation to the future of the integrity of the country could be. It can very well crush PTM with violence but it will never be able to crush or erase the insurgent political consciousness which gave birth to PTM and which PTM further strengthened and translated into a coherent constitutional program. PTM as an organization is susceptible to the logic of state violence but the political consciousness of the people who are supporting PTM in millions is far away from any reach of violence. The state and those powers who want to undo PTM should try to find an answer that what will be next if there is no PTM? PTM is necessary for the survival and health of the Federation of Pakistan. There will be chaos. PTM is a wall between a participatory and emancipatory future and reign of chaos and anarchy. Pakistan’s youth population, its strife, its anger in conflict and displaced communities is real. The sooner it is acknowledged, the better.